Just one more reason DIRECTV is the undisputed leader in soccer programming in the US – a FREE Trial of MLS DIRECT KICK on DIRECTV March 8-15, 2014. 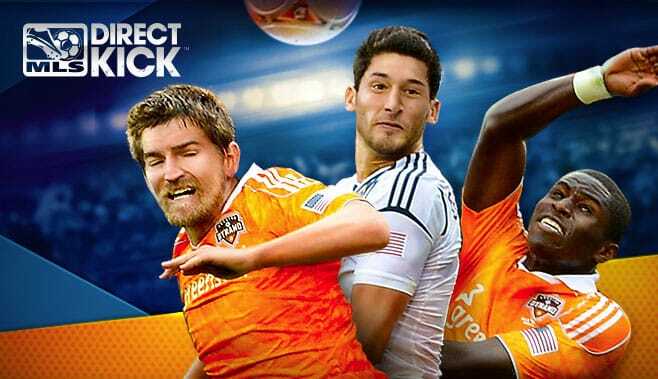 Don’t miss the exciting action from the pitch on DIRECTV. Soccer fans, we know that nothing gets you going like being able to follow their favorite teams all season long no matter where you live. That’s why we’re giving you this amazing ball to tip-off the MLS season—a FREE trial of MLS DIRECT KICK from March 8th-15th! You’ll be able to catch all of your favorite teams and players all week long. There’s no better way to experience the MLS—and get all the passes, free kicks, goals and amazing action you can handle. Just tune to channels 470–475 and start the season covering every pitch! Want MLS DIRECT KICK for customers to enjoy at your Bar or Restaurant? Call 800-951-1979 or 505-296-9423 today.